The Wine and Cheese Place: 2012 La Mission Haut Brion Blanc -- RARE STUFF!! 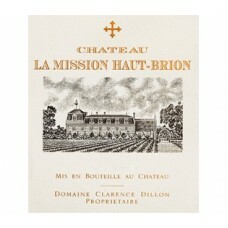 2012 La Mission Haut Brion Blanc -- RARE STUFF!! One of the most incredible white wines produced! This blend of 84% Semillon and 16% Sauvignon Blanc is from the vineyard that used to be known as Laville Haut-Brion. Bursting with aromas of candle wax, honeyed tangerines, exotic melon and lychee nut-like notes, it exhibits terrific minerality along with a full-bodied mouthfeel, exceptional concentration, great acids and a long finish that lasts 40+ seconds. This killer dry white wine should drink well for 30-40+ years. Tasted blind at the Southwold 2012 tasting. The 2012 La Mission Haut-Brion Blanc has a very intense Sauvignon Blanc nose offering gooseberry, kiwi fruit and smoky scents, although it does not seem to possess the complexity of the Malartic-Lagravière Blanc. The palate is balanced with a smooth entry, quite phenolic compared to its peers with a waxy, almost honeyed finish that feels creamy and yet needs to muster more complexity. I suspect this is just entering a dumb phase (just like Laville Haut-Brion had a habit of doing!). Like the Haut-Brion, my mark reflects the fact that this wine has closed down since bottling, but it will warrant a far higher score in line with its barrel showing after 10-15 years. Tasted January 2016. This is very clear and precise with limes, lemons and sliced pineapple. Full body, tangy fruit and a dense, caressing, textured finish. Racy. Needs three to four years to soften. Stout time of the Year!